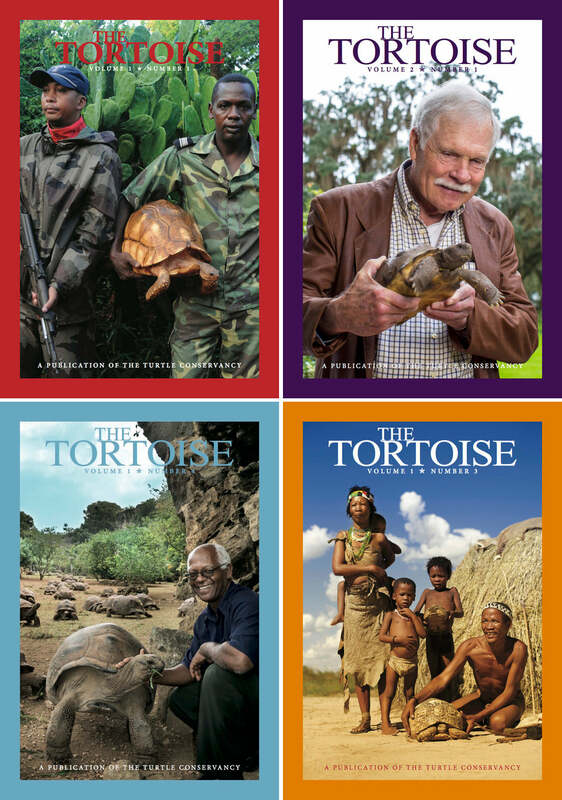 “I’m going to tell you a secret,” says Eric Goode, the globetrotting turtle crusader, as his sea-glass eyes look out over acres of orange groves and terracotta roofed turtle houses. 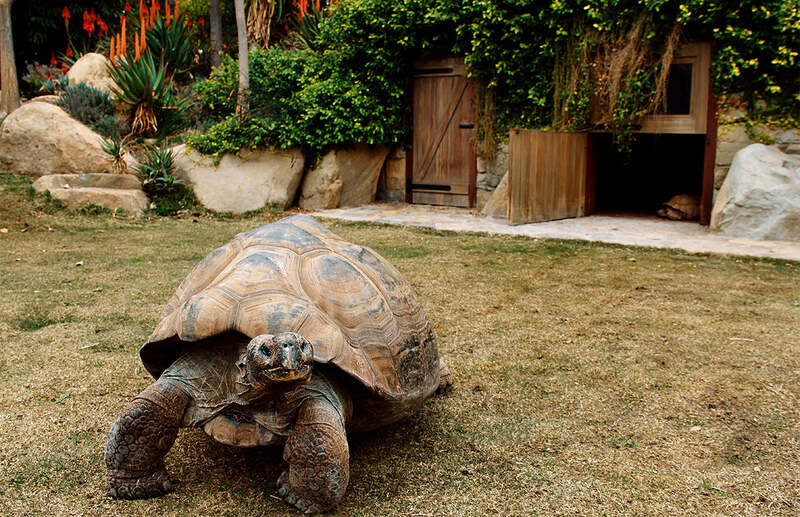 At his feet is Daphne, a Galapagos Tortoise, who after years of hardship is now living her best life in tranquil Ojai, California. Daphne, and hundreds of other rare and critically endangered turtles were rescued by Eric and brought to turtle heaven –– a sanctuary called the Turtle Conservancy. During Eric's often-harrowing adventures to rescue the rarest turtles in the world from poachers, depraved pet junkies, and everything in between, he’s seen his fair share of both good and evil. His eyes reveal a whole lot of grit. This is a guy who’s never giving up, no matter how much the odds are stacked against endangered turtles. And as we desperately try to protect our remaining endangered species before it’s too late, there's a thing or two we could learn from Eric's perseverance, and from the turtles he's fighting for. In a curious twist, although Eric grew up in California, he’s spent much of the past forty years lighting up New York City. An accomplished entrepreneur, he opened the famous Area nightclub in the ‘80s, and co-owns trendy hotspots including The Bowery Hotel, Waverly Inn, and the Jane. But he could never escape turtles. All along he’s been using his talents and success to protect the creatures he loves most. Rumor has it there are even a few tortoises roaming around his NYC roof. It’s pretty incredible considering most turtles can barely jog, forget run, and they trudge around with a shell on their back. But there’s a grace to turtles, a mysterious quality that sets them apart. In warm weather you can find them prowling the citrus groves at the Turtle Conservancy, clattering around like old monks. You can hear their shells clink as they bliss out in the Ojai sun. Turtle’s born at the Conservancy have never met a human that was cruel to them. It’s a humbling feeling to encounter a wild animal that hasn’t felt our dark side. Over half of the Conservancy’s 300+ species are threatened with extinction, and despite their enormous efforts, Eric and the Conservancy staff recognize the trends aren’t looking good. On top of that, in the last forty years we’ve lost 50% of the world’s wildlife. Animals need us to stand up, and it’s an encouraging thought, but the Conservancy isn’t waiting around and hoping for the best. They’re acting. 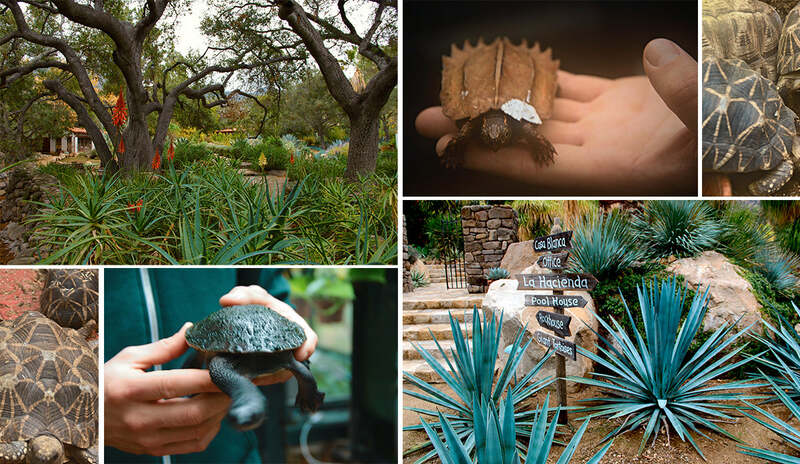 In addition to rescuing critically-endangered species, intercepting the black market in life-threatening showdowns, and working with global organizations and governments to protect turtles’ natural habitats, the Conservancy is also breeding tortoises in Ojai, hoping to one day return them to the wild. They’ve recently secured roughly 1,000 acres in Sonora, Mexico, for the protection of a new species, Goode’s Thornscrub Tortoise, named after the man himself. This stunning parcel of land where the jungle meets the desert is an ideal tortoise habitat, and will contribute to the survival of a unique tortoise but also preserves rich biodiversity. Turtles are the Conservancy’s prime focus, but they recognize that preserving our wild places is crucial, and are deeply focused on land conservation. To date they’ve protected over 45,000 acres around the world. There’s a sign at the Conservancy that strikes a haunting chord. It asks: Do human beings, one of ten million species on earth have the right to destroy such a large proportion of what are as far as we know our only living companions in the universe? It’s a question that leads to other questions. On the drive out of the Conservancy, along twisty roads that snake up into the Topa Topa mountains, it’s hard not to think of the chilled out tortoises hidden away in paradise. What do they know about life that we don’t? And is it too late for us to find out?